Fair Trade and the Citizen-Consumer; Shopping for Justice? (2012) | Moral Markets? As sales of fair-trade goods explode across the globe, Fair Trade and the Citizen-Consumer provides a timely analysis of the organizations, institutions and grassroots networks behind this growing movement. 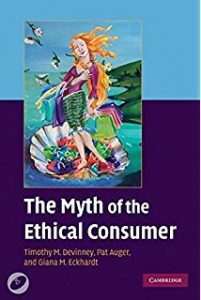 Drawing on examples from the UK, Sweden and USA, this book moves away from models of individualized consumer choice and instead explores the collective cultures and practices that motivate and sustain fair-trade consumer behaviour. 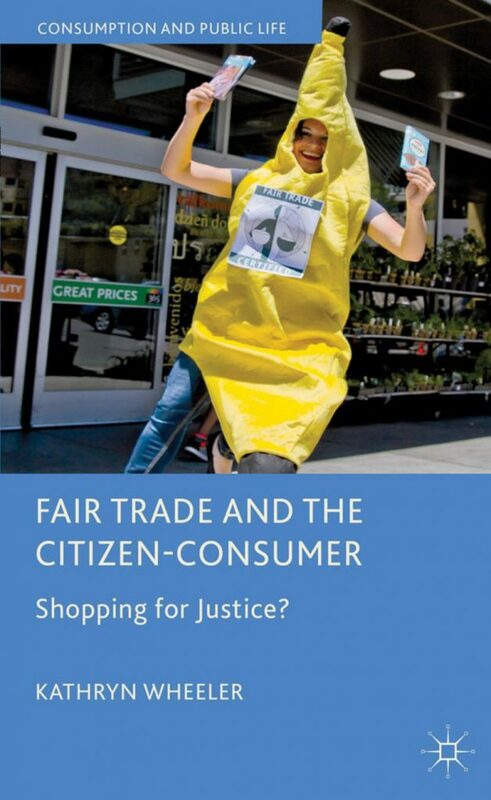 Although the fair-trade citizen-consumer has been called to action and publicly represented as an individual 'voting' in the marketplace, this book reveals how market interventions are editing the choices available to consumers, at the same time as 'Fairtrade Town' consumer networks are flourishing. 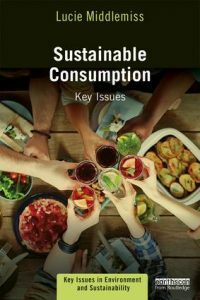 Offering new and critical insights into the fair-trade success story, this book also contributes to debates about sustainable consumption behaviour and the growth of 'new' forms of political participation and citizenship. "Building on and deploying a practice-theory approach, the book articulates that, while fair-trade may be widely recognised as a moral action, how it is practised is highly contextual and dynamic. Specifically, Wheeler’s comparisons between the UK, Sweden and the USA highlight the variety of ways in which people understand and engage with fair-trade across different historical, national and cultural contexts. [...] Wheeler develops a series of original and far-reaching analytical points. [...] we see the book as relevant to scholars from a range of disciplines, not least sociology, engaging in all aspects of research on fair-trade, ethical consumption and cultural politics of contemporary neo-liberal capitalism. 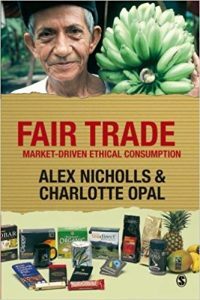 On the whole, this book is an accessible and thought-provoking offering that works to engage critically with fair-trade rather than merely celebrate it. 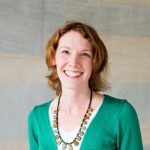 Fair Trade and the Citizen-Consumer offers a critical and timely intervention, drawing attention to the lived realities of fair-trade consumption"
Kathryn Wheeler is Senior Researcher at the Department of Sociology, University of Essex, UK. Her research focuses on ethical consumption and moral economies. She is currently working on an ERC-programme exploring 'consumption work and societal divisions of labour' in which she is undertaking comparative research on recycling in the UK and Sweden.